This unique and towering football trophy spotlights a gilded running back football player figure. The player sits on a hefty riser shaped like a football and is set on a black simulated marble-grain topped base. 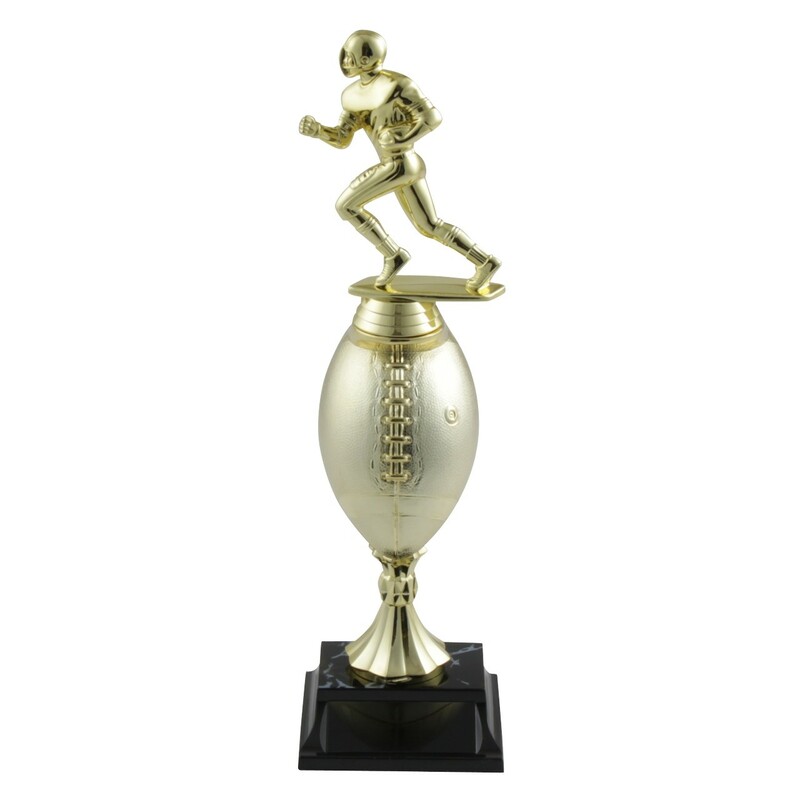 At approximately 13 inches in height, theTeam Inspiration Running Back Trophy is one of our tallest football trophies and would make a great award to commemorate an outstanding season.